Nike gave Flyknit heads what they wanted earlier this month with a re-release of 2014&apos;s "Pink Flash" Flyknit Racer colorway, but it looks like the vibrant colorway almost popped up on an abandoned Flyknit sneaker, too. 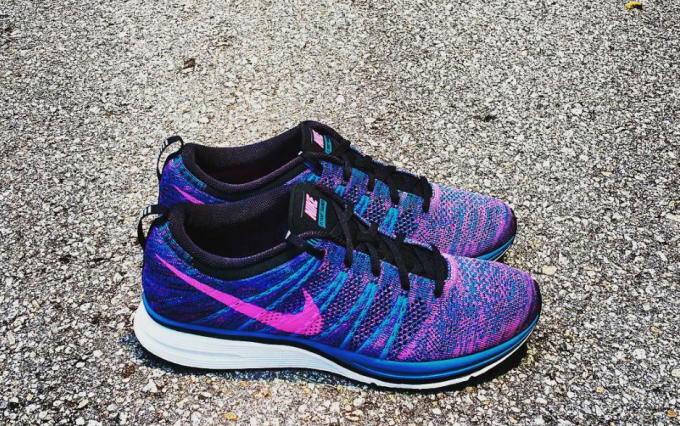 Pictured here is a sample Flyknit Trainer in a "Game Royal/Purple" look that is nearly identical to the "Pink Flash" Racers. 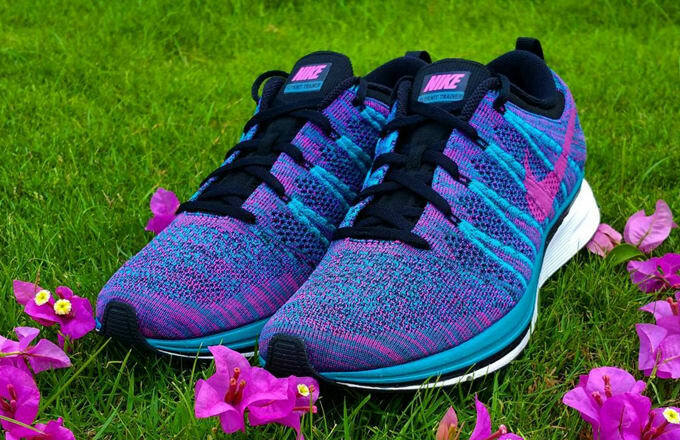 As you may recall, the Flyknit Trainer debuted alongside the Racer model in 2012, but the former was eventually discontinued in favor of other silhouettes. Unfortunately, the chances of these ever seeing a release are unlikely, but we'll be crossing our fingers for a Flyknit Trainer retro somewhere down the line. Who knows—maybe this colorway will finally drop then.